This study explores the relationships of individualistic (e.g., competition, material success) and collectivistic values (e.g., familism, respect) with risky and prosocial behavior among African-American and European-Americanyouth. While previous work has focused upon immigrant adolescents, this study expands the research exploring cultural values to other racial-ethnic groups and to a younger developmental period. This study builds upon culture as individually experienced beliefs and practices, potentially espousing multiple cultural orientations and relationships to behavior. Data from Cohort 3 of a study of 219 urban, suburban, and rural children included African-American (42%) and European-American (58%) children, 54% female, ranging from grades 1–5 (mean age = 9). Multigroup structural equation models were tested resulting in a measurement model that fit similarly across groups (RMSEA = .05, CFI = .94). African-American children reported higher levels of individualism, and African-American and European-American children reported espousing similar levels of collectivism. Children in higher grades were found to be more collectivistic and less individualistic. Individualistic values were related to children’s lower prosocial and higher rates of problem and delinquent behavior. Collectivistic cultural values were associated with reduced rates of problem behaviors, controlling for race-ethnicity, gender and grade. Results provide support for the assertion that youth espouse multiple cultural orientations and that collectivistic cultural values can serve as promotive factors for children of diverse backgrounds. Practice and policy should seek to understand the role of family, school, and community socialization of multiple cultural orientations and nuanced associations with risk and resilience. We acknowledge staff, parents, and children whose participation made this study possible. Andrea Farnham contributed to earlier versions of this paper. EPS: conceptualized the study, wrote the introduction, assisted with and reviewed analyses and findings and, edited the manuscript. DPW: assisted with study conceptualization, conducted, assisted with, and interpreted the statistical analyses, wrote the methods section, assisted with writing of the results and other manuscript sections and edited the manuscript. SB: conducted and interpreted the analyses, wrote the results section, assisted in writing the methods section, and edited the manuscript. JMB: assisted with the paper conceptualization, collaborated in conceptualizing, writing and editing the manuscript. Funding support was provided from the William T. Grant Foundation, Grant #8529; the Wallace Foundation, Grant #20080489; and the National Institutes of Health/National Institute for Drug Abuse, Grant # R01 DA025187 to Emilie Smith (PI), and an NIH Diversity Supplement to Dawn Witherspoon. We acknowledge the many staff, parents, and children whose participation made this study possible. Andrea Farnham contributed to earlier versions of this paper. Research involving Human Participants was approved and monitored by The Pennsylvania State University Institutional Review Board (IRB # 23990) and have been performed in accordance with the ethical standards as laid down in the 1964 Declaration of Helsinki and its later amendments or comparable ethical standards. Fuligni, A. J. 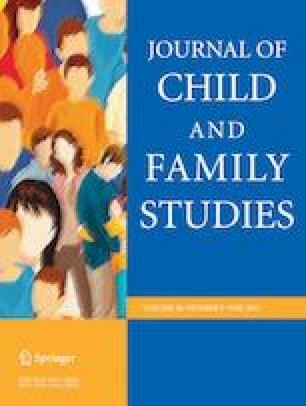 (2001), Family obligation and the academic motivation of adolescents from Asian, Latin American, and European backgrounds. New Directions for Child and Adolescent Development. https://doi.org/10.1002/cd.31. Phan, T. and Glander, M. (2008). Documentation to the NCES Common Core of Data Public Elementary/Secondary School Locale Code File: School Year 2005-06 (NCES 2008-332). National Center for Education Statistics, Institute of Education Sciences, U.S. Department of Education. Washington, DC. Retrieved December 5, 2012 from http://nces.ed.gov/pubsearch/pubsinfo.asp?pubid=2008332. United States Census Bureau (2017). U.S. Census, QuickFacts. https://www.census.gov/quickfacts/fact/table/US/PST045217.